Join the over 450 million users worldwide on the fastest tool for cross-platform transferring and sharing! 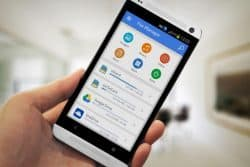 Using Zaypa will allow you to transfer files from Androids, iPhones, iPads, Windows Phones, Tizen, PCs, and Mac computers in an instant. It’s not only about the speed, but it is also that there is no cost to the user. Zapya is super easy to use and supports multiple languages! File transfers have never been simpler!